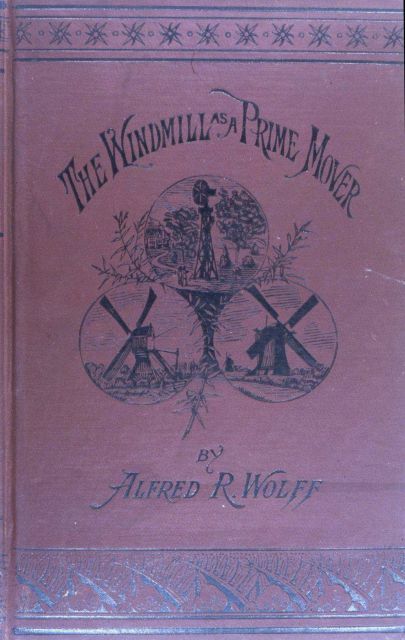 Cover jacket to “The Wind Mill as a Prime Mover,” by Alfred R. Wolff. 1885. Library Call Number M/1360 W855.